Whilst in Nairobi I also finalised plans for the first container conversion with Develatech. Develatech is owned and run by Jonathan Baker a talented British engineer who has lived in Kenya for the last 4 years. 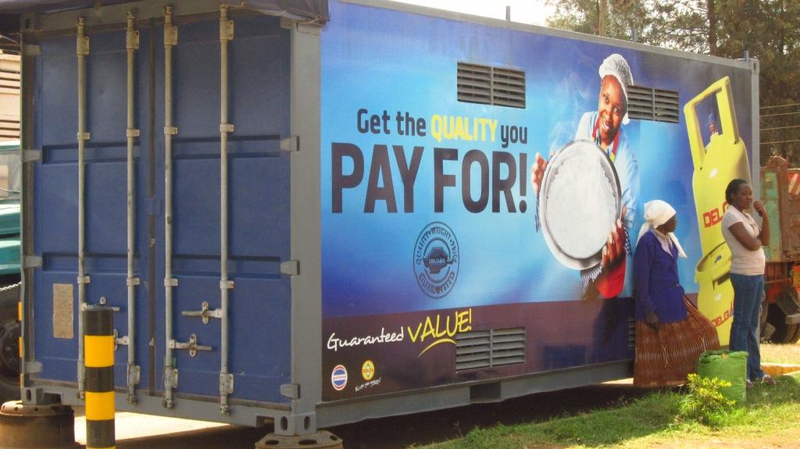 We went to the Kenyan Port Authority in Nairobi to select a sea container to purchase – they had lots to choose from! Jonathan’s warehouse is conveniently located next to the Port Authority so it’s easy to move the container to his warehouse for conversion into our first workshop. The workshop will be completed in the first two weeks of January. We have decided to clad the outside of the container in steel sheeting to give a good finish ready for branding – see picture of another container done this way. The inside will be fitted out with secure storage, work desks and a trade counter. Lighting will be provided by a home solar system that gives excellent light to four LED bulbs and charging for a mobile phone or fan – and it will be a great demonstration of the system for our customers.